Feel pretty in pink with these Ankle Strap Wedge's in Fuchsia. With a closed toe, leather ankle strap, and 3.5 inches heel - these women's espadrilles are versatile while also comfortable. 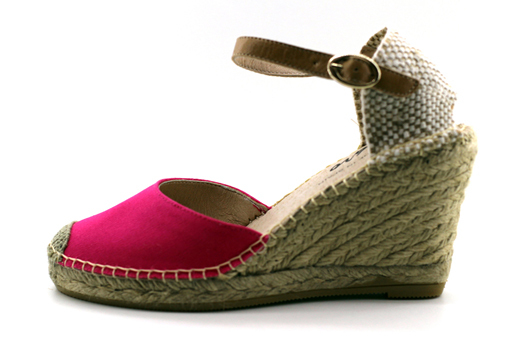 Handcrafted in Spain, Laro Espadrilles use high quality braided jute and have a vulcanized rubber soles.